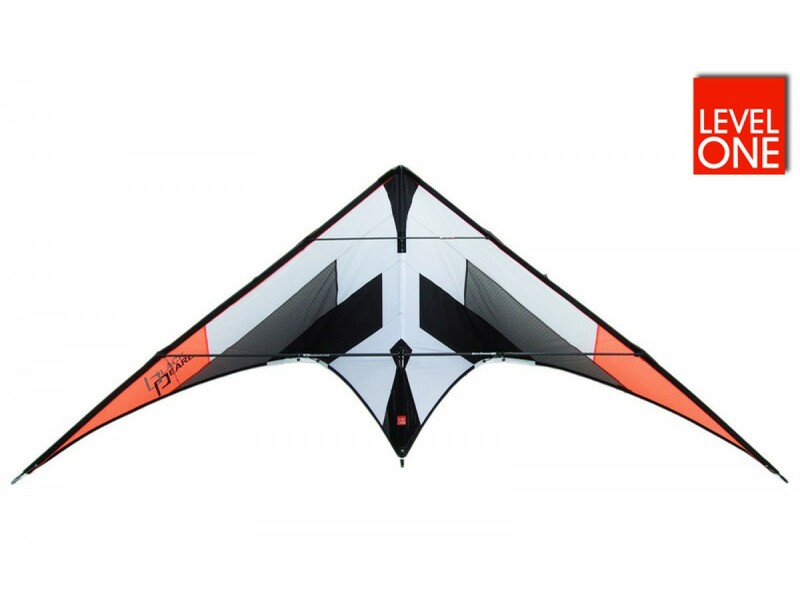 The perfect kite for new freestyle tricks like Backspin, Cascades, Yoyos, Jacob's Ladder, Taz Machines, with a dash of precision and old skool. Made in Germany (and in heaven apparently?). 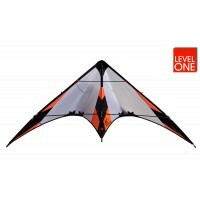 All Level One kites are produced in small batches with loads of pride and outstanding craftsmanship. 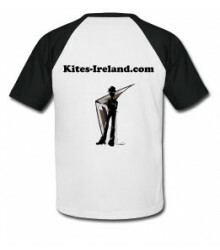 All parts are available separately to order. 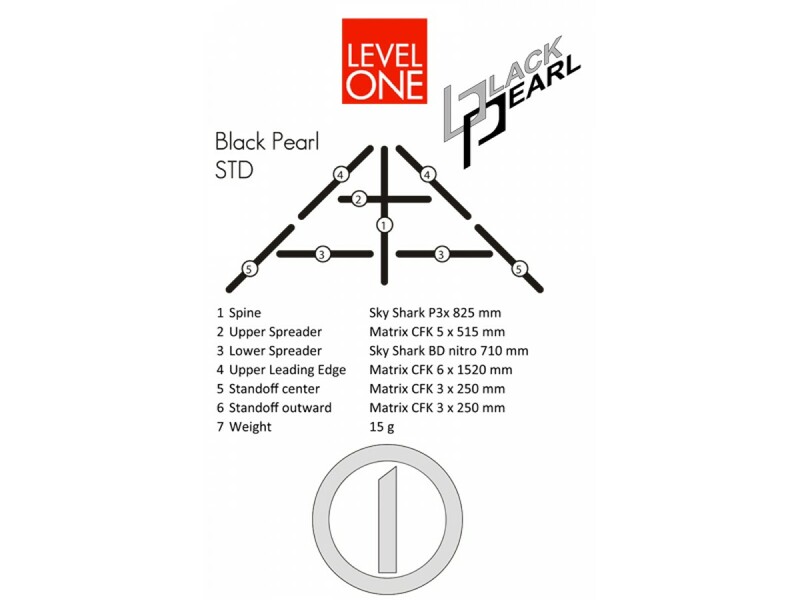 The Black Pearl has re-inforcements in important points of stress for exceptional durability. E.g. the nose is re-inforced with lorry covering material. 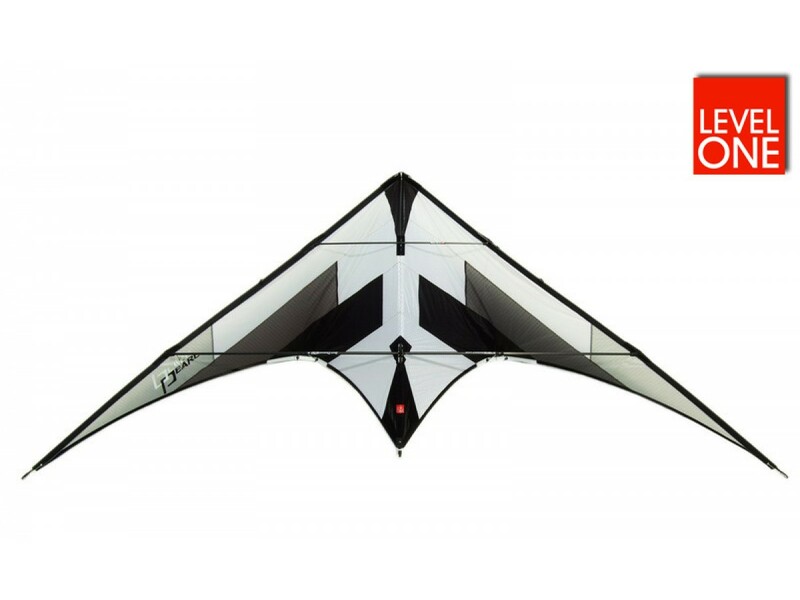 The Black Pearl features yo-yo stops, covered leading edges, two stand-offs (whiskers) at each wing and a leech line for loud precision flying or quiet flying with tensioned leech line. All you can ask for. "What does it all add up to? 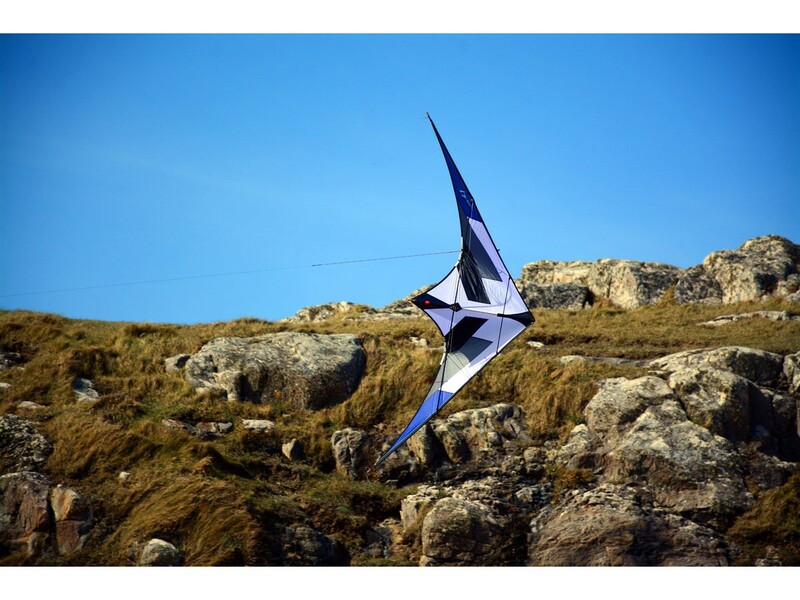 Well, I’d take the Black Pearl out when I just wanted to have a good time, to fly and to look good for my spectators. 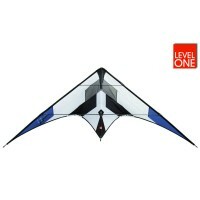 This is just the sort of kite I love to fly at the beach in the summer, when I’m not looking to fine-tune my inputs or focus intently on competitive maneuvers. 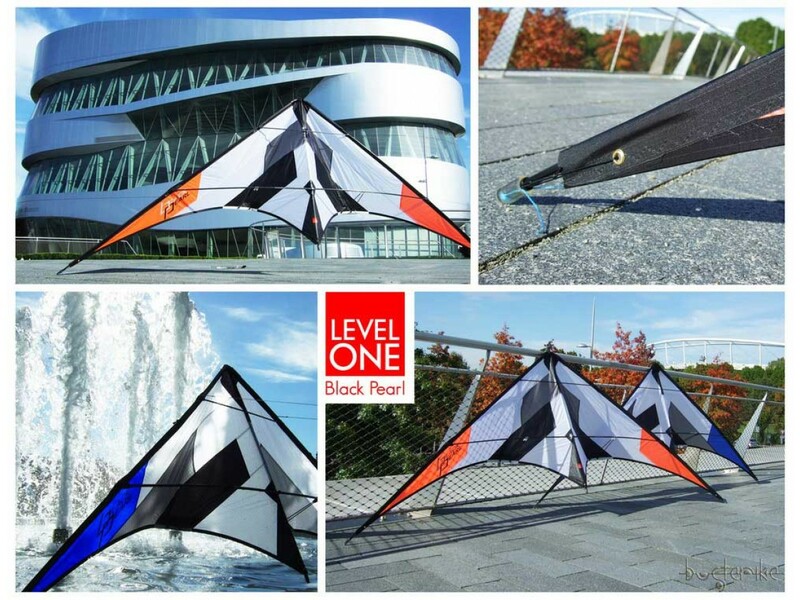 The Black Pearl is just fun to fly." 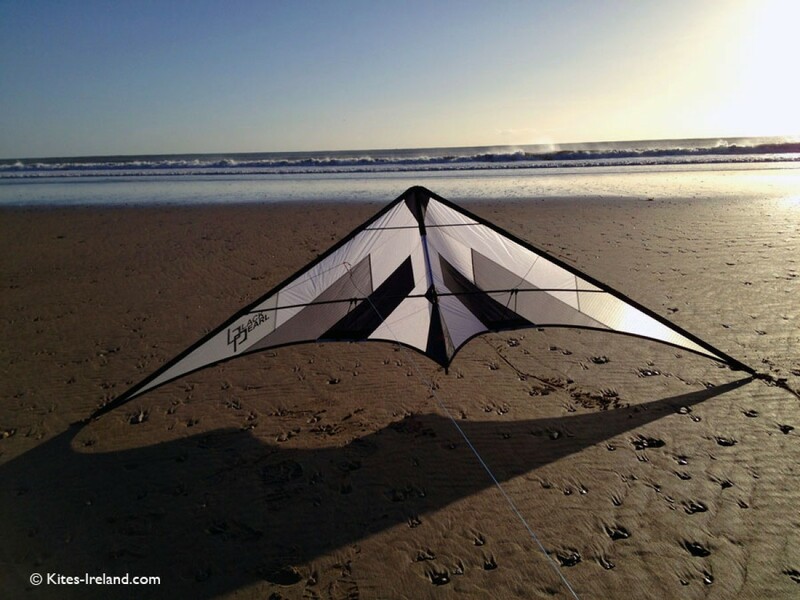 Read the full review about the Black Pearl at > Kite Clique. 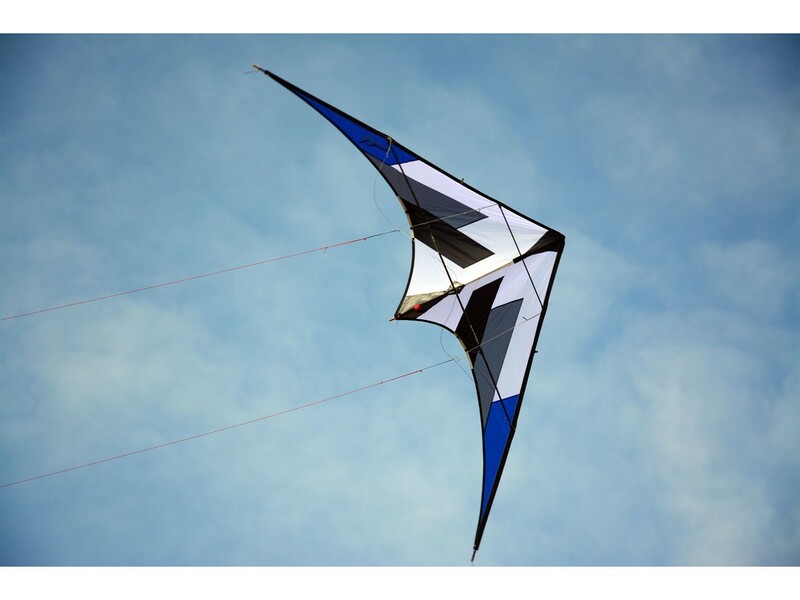 Sail: Skytex 27g polyester, permeated with polycarbonate resin & Icarex P31 (31g per m2). 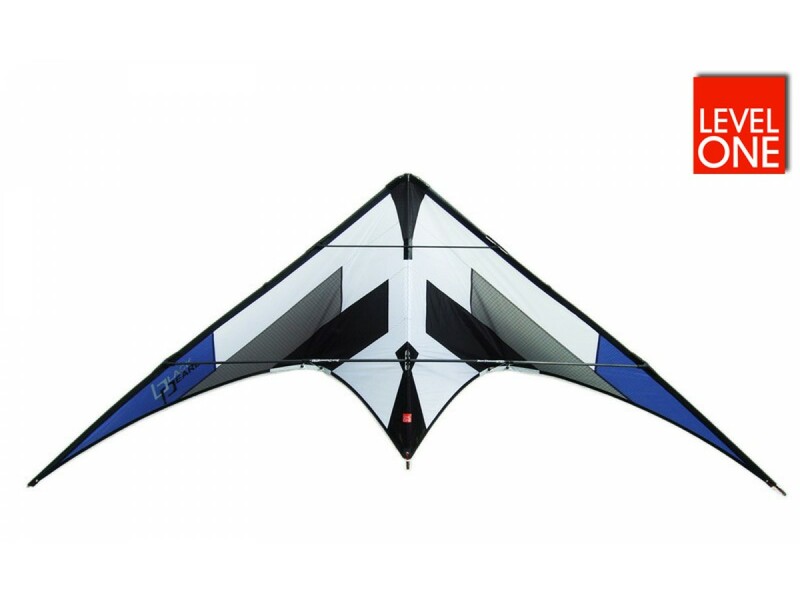 Kite comes with a kite bag and line storage compartment. 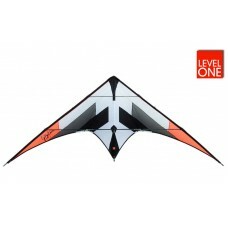 - Please add special braided lines and flying straps, if needed. 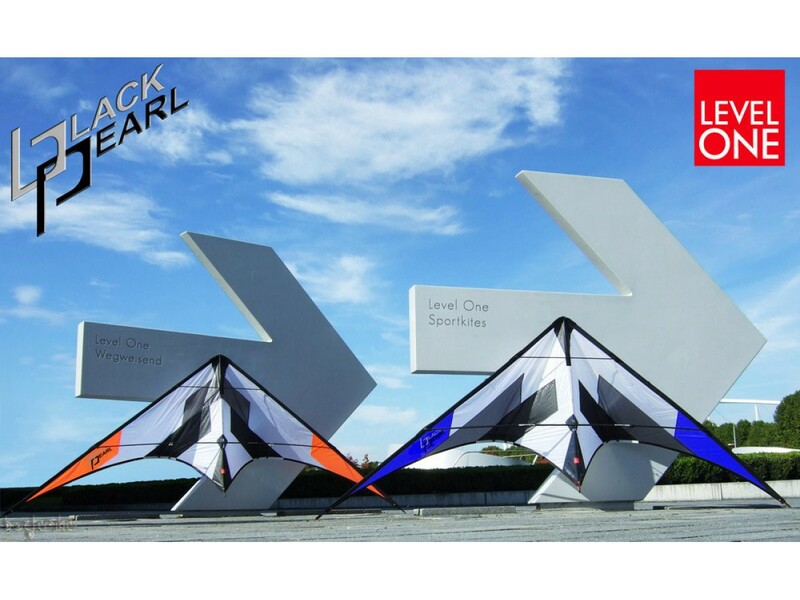 Kick back and enjoy ... Full screen is recommended for Black Pearl video.